Welcome to First Time Classics. 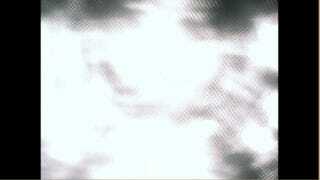 I am Krakken_Unleashed, resident newbie Otaku, and blog writer. First Time Classics is a recurring series where I will be finding well respected, liked or important Anime of the past, watching them as a first time viewer, and writing about the experience. This is not a review, but an ongoing impressions piece which I will update periodically throughout my first viewing. My hope is that through this series, you my readers may take a fresh look at shows you first saw ages ago, or find shows you have otherwise missed in your Anime watching careers. Ah. The Gospel of a New Century, Neon Genesis Evangelion. I hadn't actually expected to get around to this one for a while, but fortune has smiled on me, and now I shall give the First Time Classic treatment to the premier mecha show that is not called Gundam. This is a mecha deconstruction by Hideaki Anno, that premièred in 1995 (which means it's barely younger than I am). Also I've heard that around the time of making Eva Anno had some serious depression, and his bleak outlook is infused within this show. So I am spoiled on a few plot points on the show, I am actually terrible when it comes to digging through wiki's and accidentally spoiling myself. I remember reading some synopsis' a few months ago, though I forget if what I read was the series, or the Rebuilds, or both. I know that Shinji basically ends the world in the end, but I don't know the story of how we get there, so I am still much in the dark surprisingly. And that's most of it, I'm not as much of a clean slate as I'd like to be, but that can't be helped now. Now we can get on with this show. The year is 2015... well isn't that just coincidental Eva... you don't say. Anyways, on to the show and not just it's fictional timeline. And well, this certainly is a very different show compared to what I'm used to getting from Anime at this point. If I had to call it anything at the moment, I would say "subdued" would be the best moniker. It's just the entire show seems pensive, like the show is coloured by Shinji's psyche, and so much of the life, humour and vibrancy that is commonly associated with Anime these days, has been sucked out of it. It's in these instances where I feel that it's age almost helps in driving the grimness and seriousness of the show home. The characters are drawn more defined features, and the colour palate being more subdued imbues a sense of tragedy, and grim reality. Even the fanservice and humour bits are overshadowed by the overarching bleakness of the show. A fact which is very interesting, since I'm so used to seeing those fanservice-y moments played for laughs, (even when it's unnecessary) that seeing them portrayed straight (though still awkward) is almost a revelation to me. Why do I write this blog post… to prove that I exist? Why do you read these posts...to live vicariously through me, your proxy? Beyond that however these few episodes have also started being more philosophically pensive, and more directly questioning of the mysteries in the show, even if they haven't actually explained anything much as of yet. 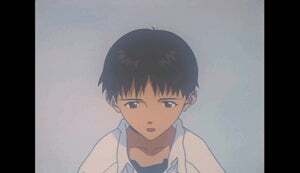 Like what the angels or the Eva's actually are, what the purpose of NERV/ Shinji's father is, and the truth about the Second Impact, Adam and almost everything else in the show. It's all up in the air, and I'm definitely interested on where the pieces will eventually land. The show has been decisively more entertaining then it started off, even as it steers to, what I can guess to be, a precipice of shocking revelations. Damn it man, this hurts... Okay, I will just say that these last few episodes have been great, a few loopy bits to get my head around, but great television nonetheless. But man, the hell that they are putting Shinji through is just messed up. I mean Gendo basically ordered Shinji's hands to murder Shinji's own friend… Damn that's cold. And just so we are all on the same page here. I cheered when Shinji finally put his foot down. Part of my personal philosophy is that Ends do not justify Means. 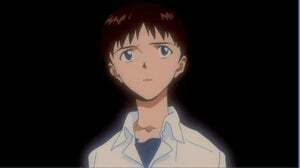 So I was almost happy that Shinji said he wouldn't pilot EVA again in episode 19, and I was upset actually that Shinji gets back into the EVA. Not with him mind you, his decision was fine, but with the whole setup in general where they place the fate of the world on the shoulders of a mentally broken boy. So Yes NERV, Shinji/EVA-01 going all cannibalistic on you is on your hands...You played with fire, and Shinji got burned, now we will just have to see what the repercussions are. Now a little about the Angels, I noted earlier how varied they all are, and it is still one of the high points of this series. The variety of powers and forms they're given is insane. But what is almost paramount about them in my mind, is the fact of their evolution, and the corresponding exponential increase in power the angels seem to have. I mean the last Angel I saw basically did in 2 min what took the angels a full day 13 episodes ago. The shocking increase in power and effectiveness has kept up the tension and suspense for this series, causing the situation to get even more dire. This is a show that certainly excels in breeding suspense, and danger, even as it also starts dropping off the deep end into its philosophical ramblings. I like this aspect as it is a departure for me to see a show really have an existential crisis in the midst of it's action. Though I suspect that this rabbit hole will probably be a whole lot deeper by the time I finish this series... Which I need to get back to now. Uggh… Ummm… What did I just watch? Well thank goodness that I can watch this over again, because well I need some time to get over this. I'll say for starters though that my first off reaction is simple surprise, mostly flowing out of unmet expectations. As I said in the What I (Think I) Know segment in the beginning I was expecting for Shinji to end the world in the Third Impact or whatever, with the accompanying depressing end that eventually entails. However I now understand that is all End of Eva territory, none of which is covered or hinted at inside the end of NGE the series. So my first time through left me a bit shell shocked as I realised all my presuppositions had to be thrown out the window. Instead what I got was a weird internalization of Shinji's head during the Human Instrumentality Project, whatever that's supposed to be. I'm not sure if I'm satisfied with it yet. It was just too bizarre. I'll also put here that I found that the episodes 21-24 were interesting though I felt some of the plot points just came out of nowhere, while others are not explained. 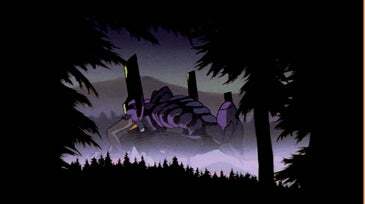 But for the type of ending we got, I'm not sure they were necessary, but well I may reserve judgement until I've seen End of Eva and the Directors Cuts. Also We needed more time with Kaworu, cause he was so interesting, but was killed off so quickly. Rest in Peace final messanger. So this is it, we've come to the end. Upon watching the Director's Cuts of episodes 21-24 I can say that they did clear up a few things, though not as much as I hoped. The additions to Auska and Kawrou's characters as well as the aditional scenes were very nice additions. However many of the mysteries of the show, like what Seele's ultimate goal was, what Adam and Lilith's roles were, and what the triggers were for the Second, and the potential Third Impact were still never explained. So on a purely plot based level I would say that Evangelion as the series kind of failed, though it has brought up some rather curious notions of what does and should constitute a story. 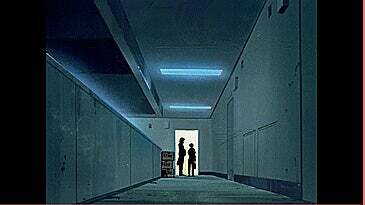 Evangelion is surely a curiosity, but I would say that even if it failed with traditional storytelling conventions, I wouldn't call it dissatisfying. As a person I believe that I am somewhat of a take life as it comes/ accepting what is - type of person, and as such I don't hate this ending. It certainly makes me think, it's weird and provoking and bizarre, but those qualities don't make it inherently bad. What I do feel is that if I didn't know that there was more plot information out there, I might be harsher on this ending, but even without that I think that what the ending does is reformulate my preconceptions on how I look at the series. In the end the series says that all the Eva's, all the political intrigue, the battles, all of it was basically unimportant. They were fluff, the world, the backdrop. What matters, Eva tells me, is Who were these people? and How did they respond? In that sense the ending rips the rug out of the convention of having well established worlds and plot lines in storytelling. Oh and I guess I promised to share my thoughts on Shinji. Yes he whines a little bit. But I didn't actually find him annoyingly so. I mean he was at least in character, and what's a depressed, self-loathing kid gonna do when you put the fate of the world on his shoulders? Give him some slack here. 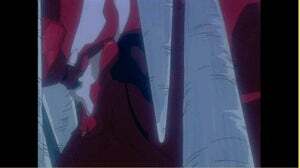 So was Evangelion the best of all Anime ever? I honestly can't say. Was it terrible? No. I greatly enjoyed watching this show. Though as it stands it feels halfway incomplete, for even if the ending eschews the plot, I did still love the plot, and am sad that I have to find the movie in order to get that resolved... Oh Well, that will have to left for another time, I guess. If you want to see my previous FTC on Clannad you can find it here. And if you were wanting a review of Evangelion, Ani-TAY's Dexomega has one here.